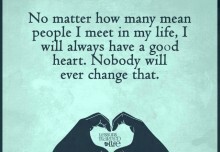 I will always have a good heart. 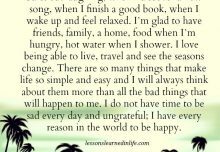 I have every reason in the world to be happy. 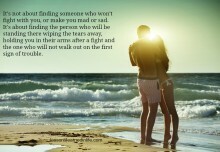 Someone who will hold you in their arms. 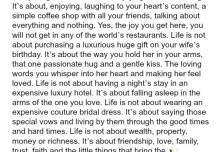 This is great up to a point. 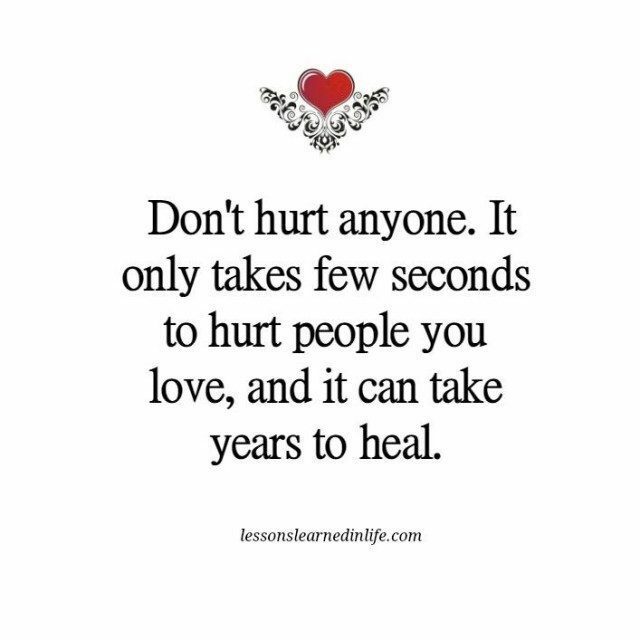 However, much harm is done by people who are so concerned with hurting someone’s feelings that people never learn, and never mature. One could write a book about this. I know 50 year old children who are still children because their parents wanted to be the child’s friend rather than their parent. Living in the bible belt, I see too many Christians who want to say yes to everthing in an effort to not hurt someone’s feelings, when it is necessary to say no.